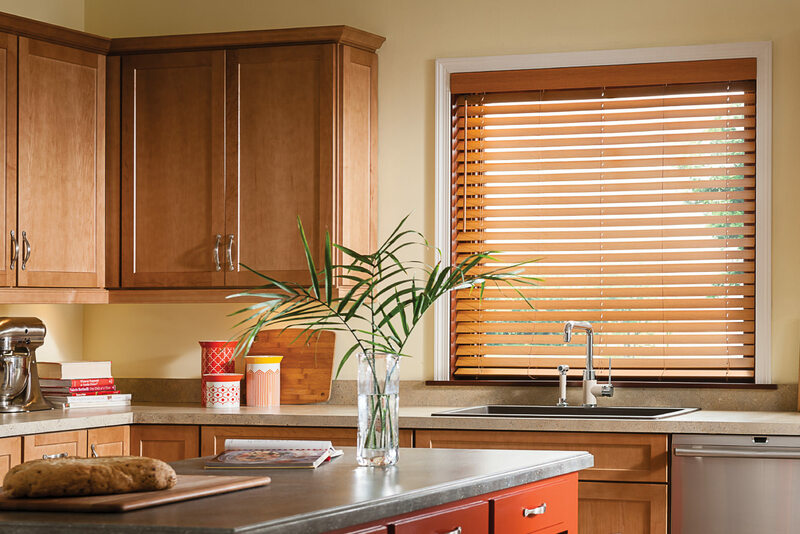 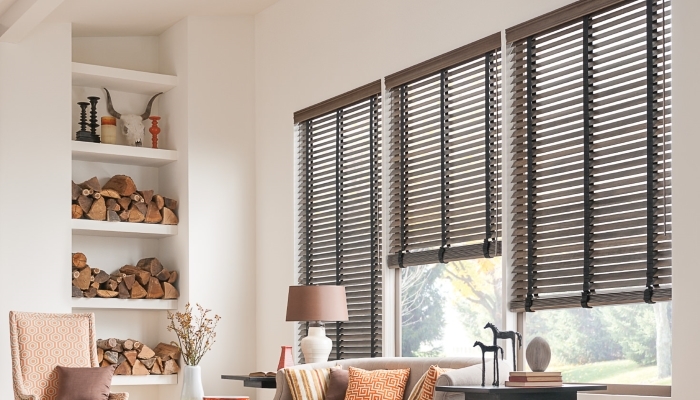 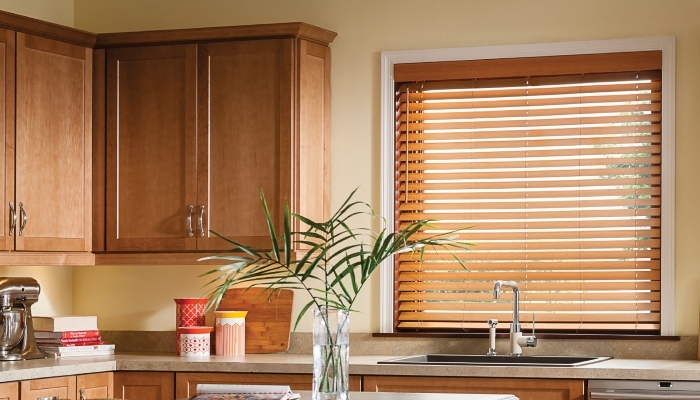 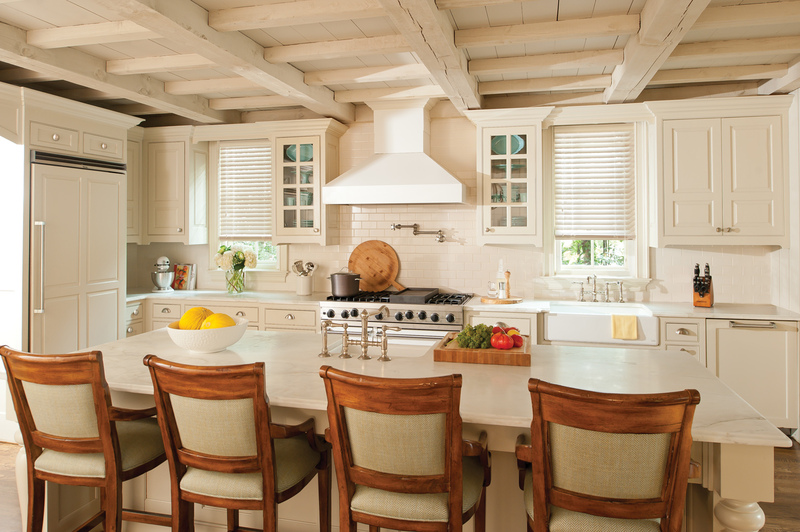 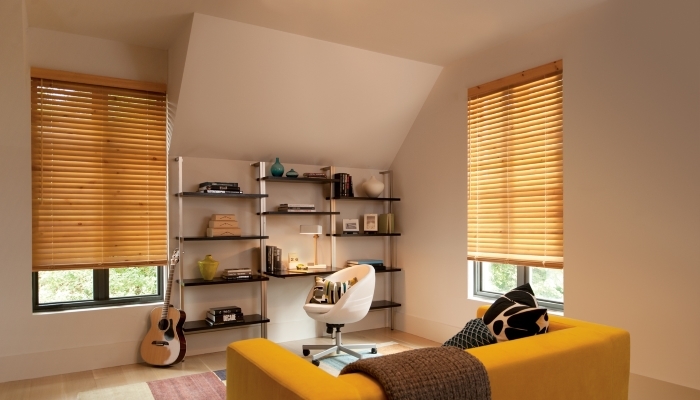 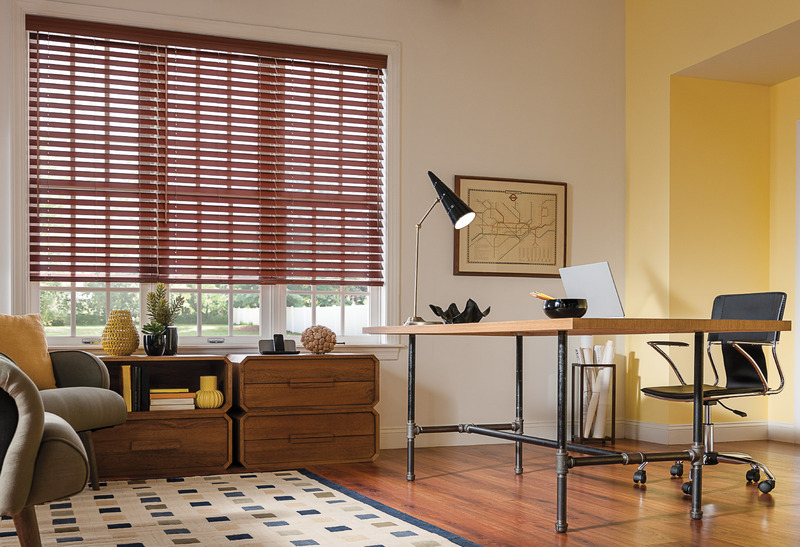 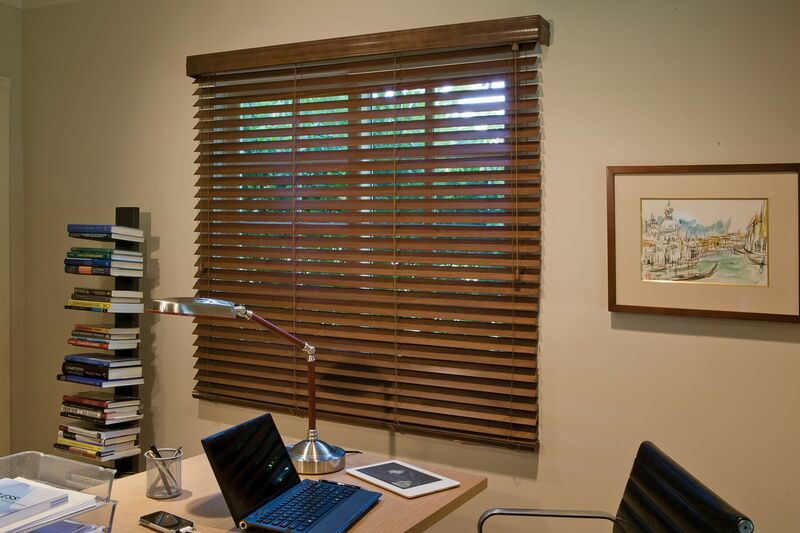 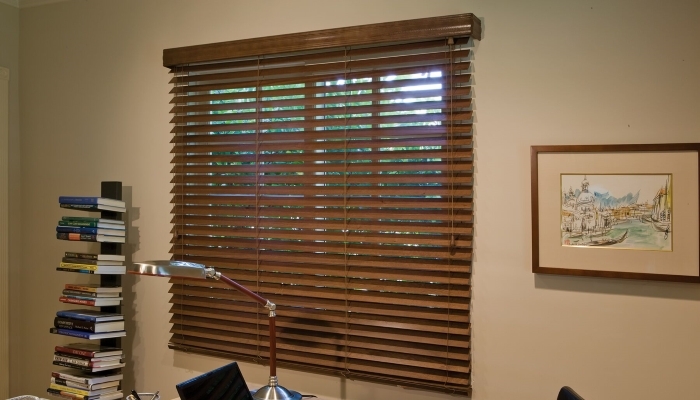 Norman Faux wood blind with the routless, no holes slats. 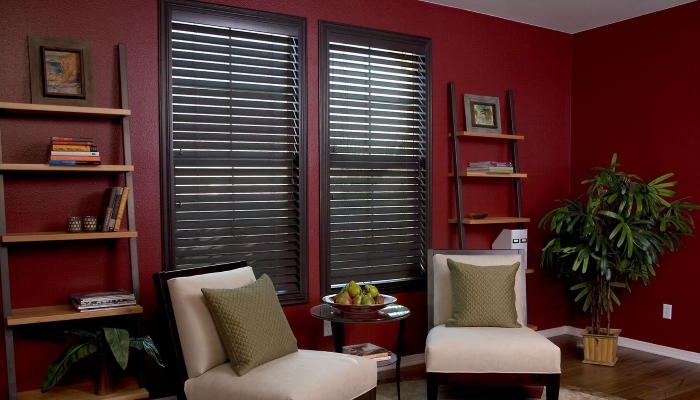 Painted wood look with lower costs. 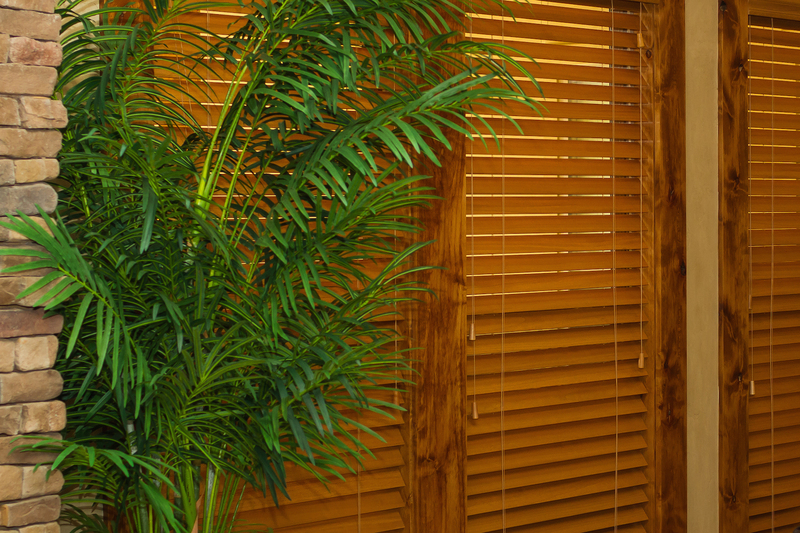 Enter a description here. 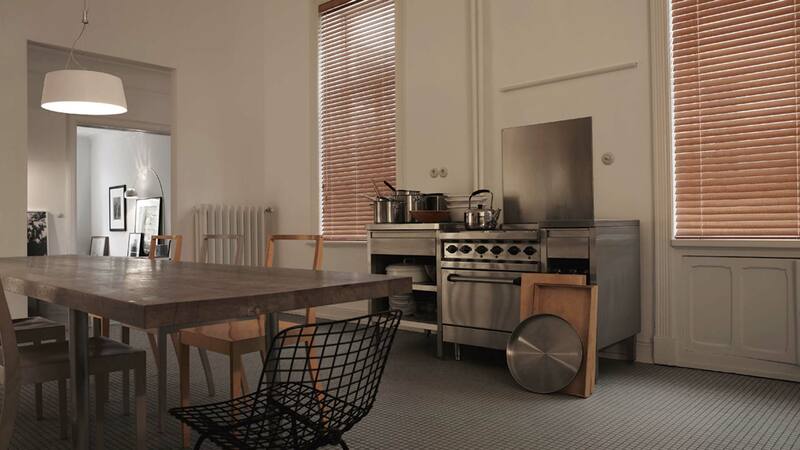 Enter a description here. 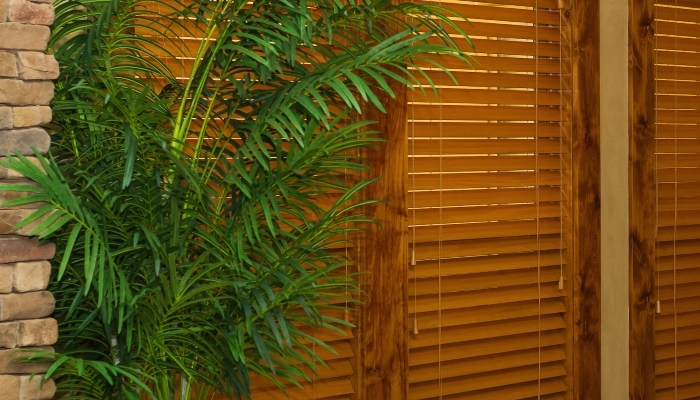 Enter a description here. 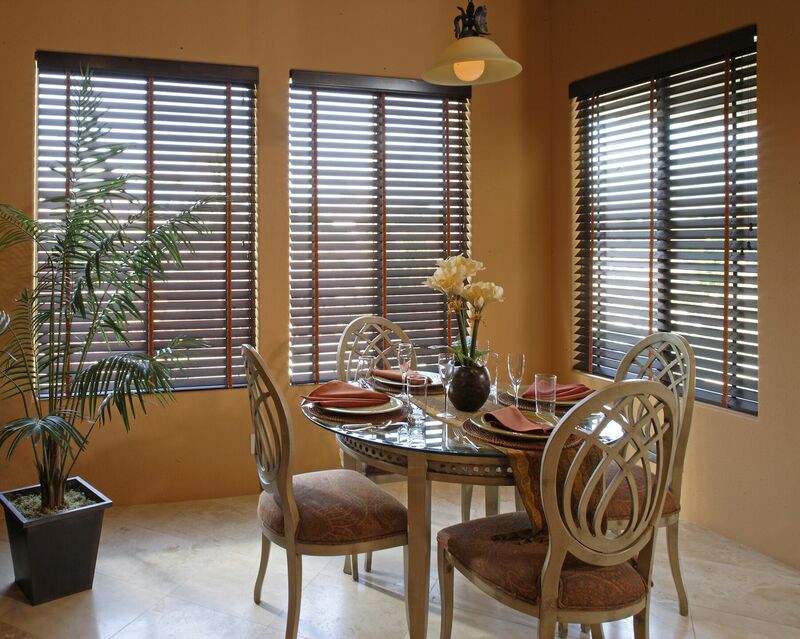 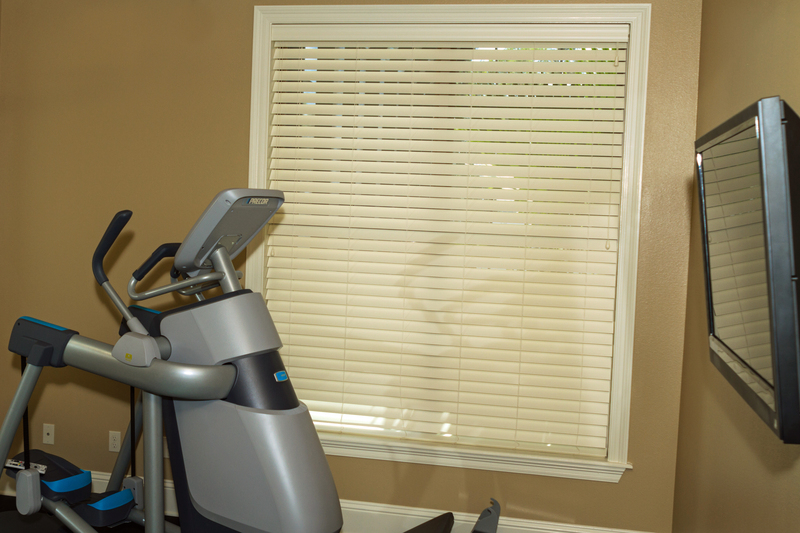 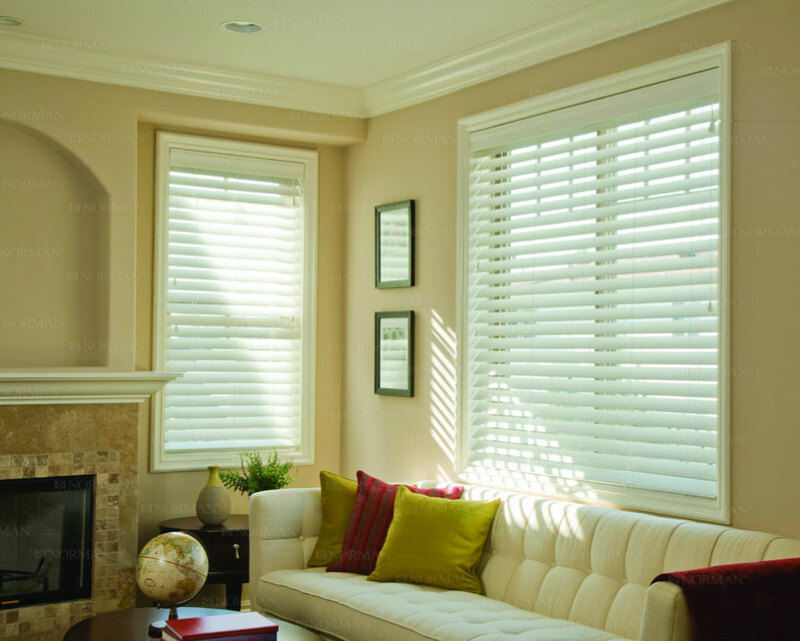 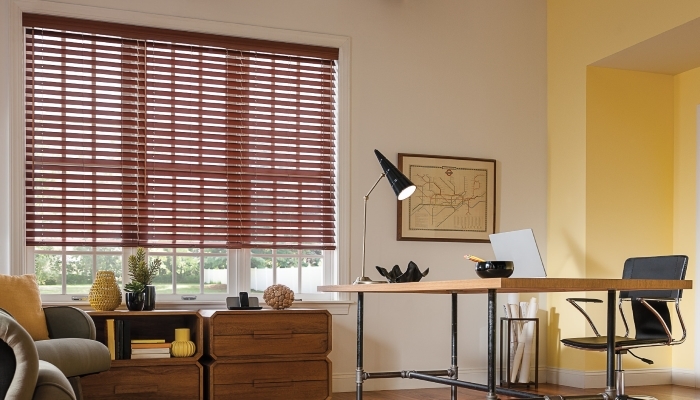 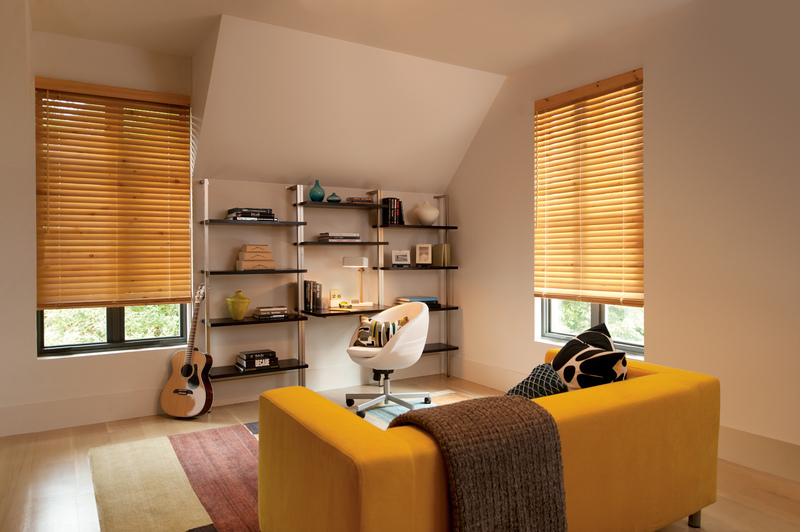 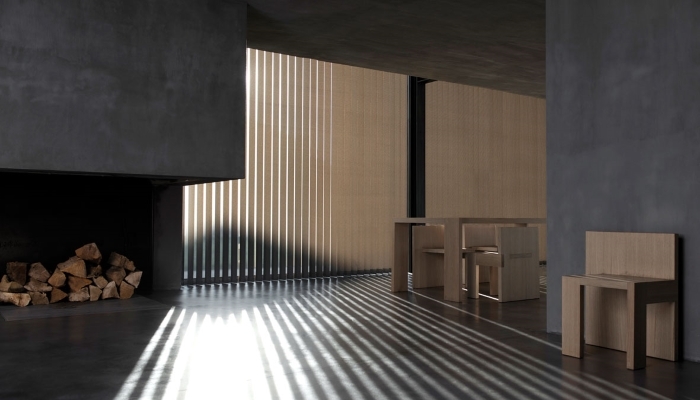 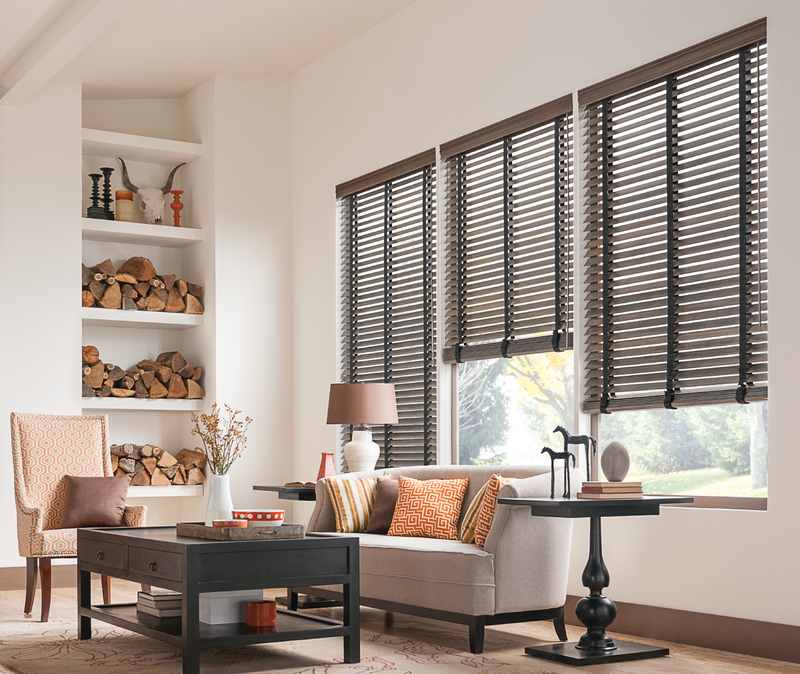 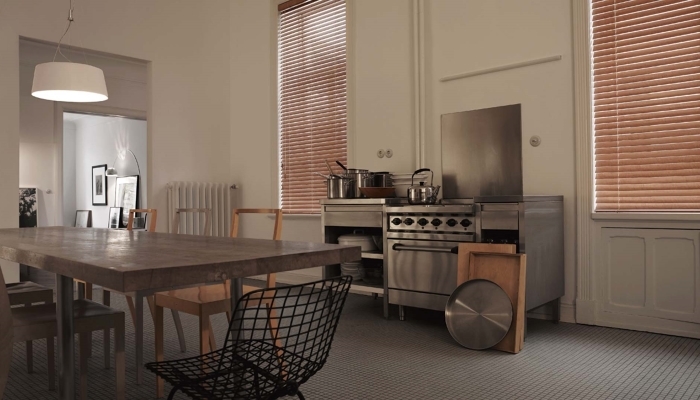 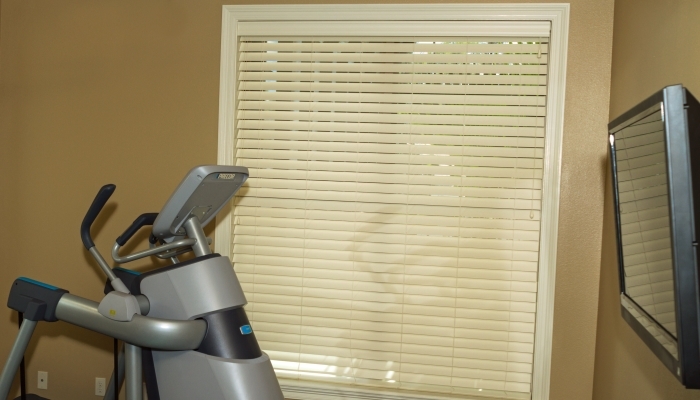 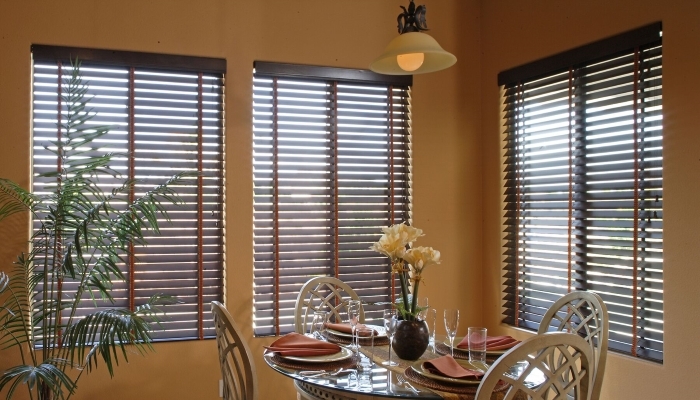 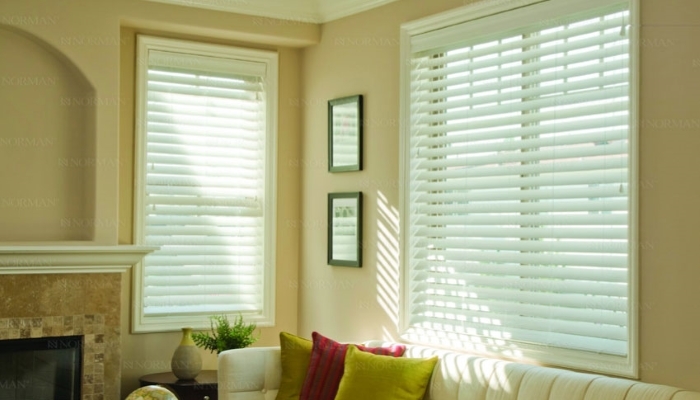 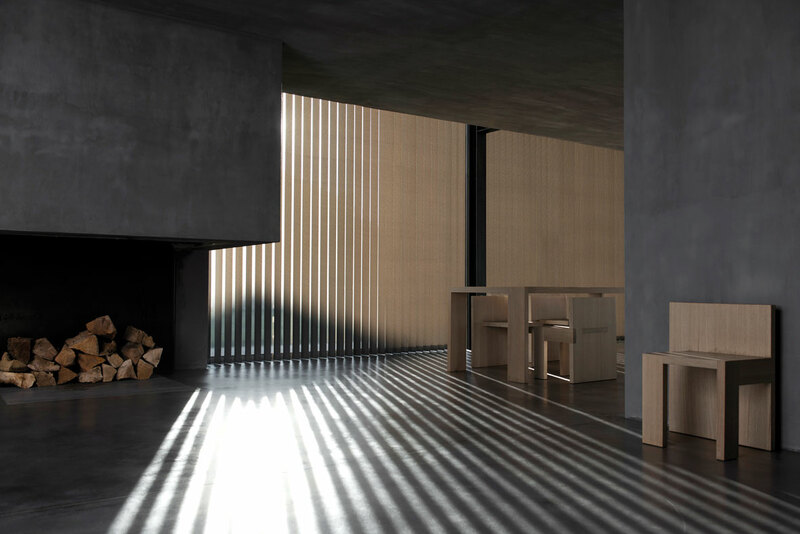 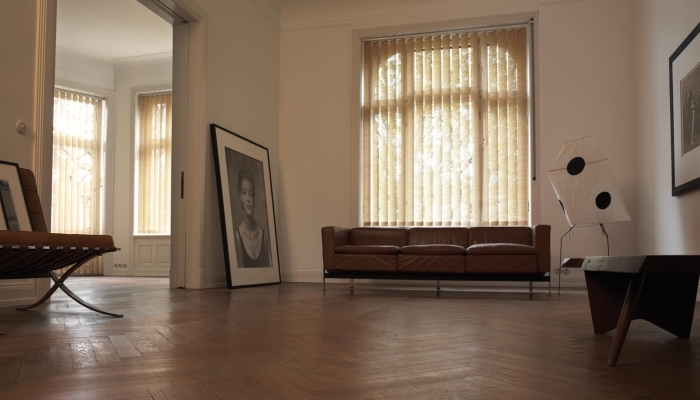 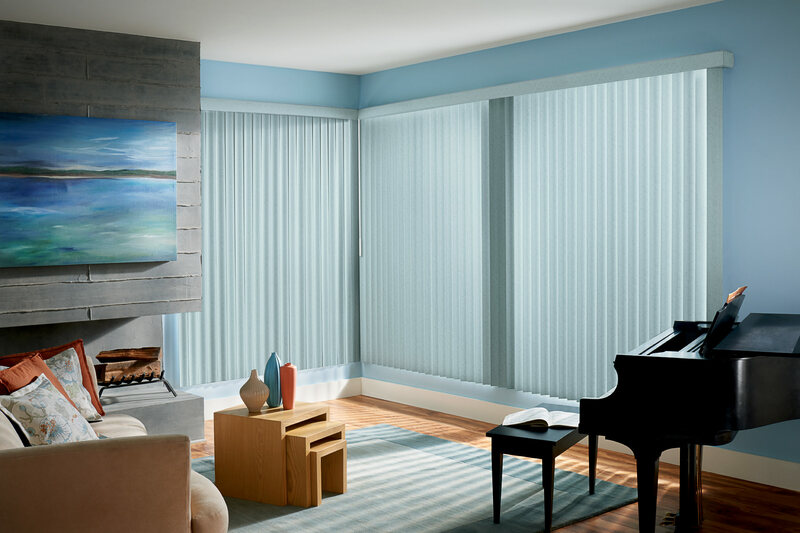 Some Graber vertical blind materials are also available as horizontal blinds for the window that can't have vertical slats. 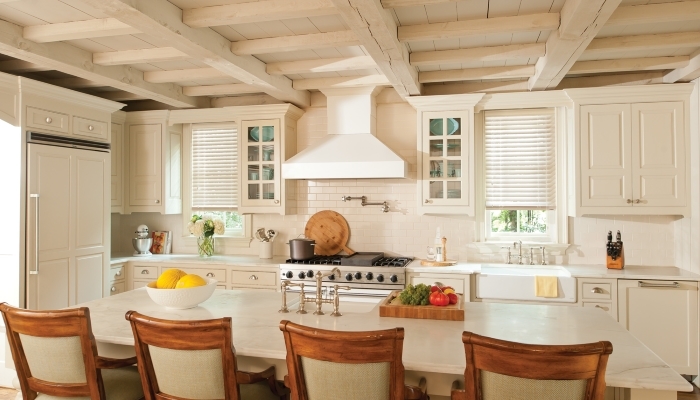 French doors are good example. 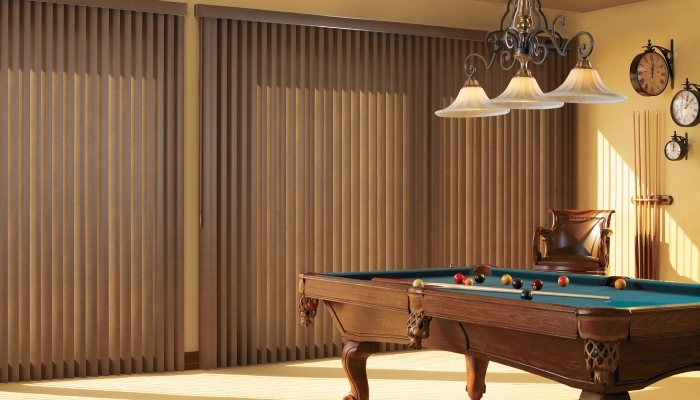 Here is shown a Kirsch sheer vertical. 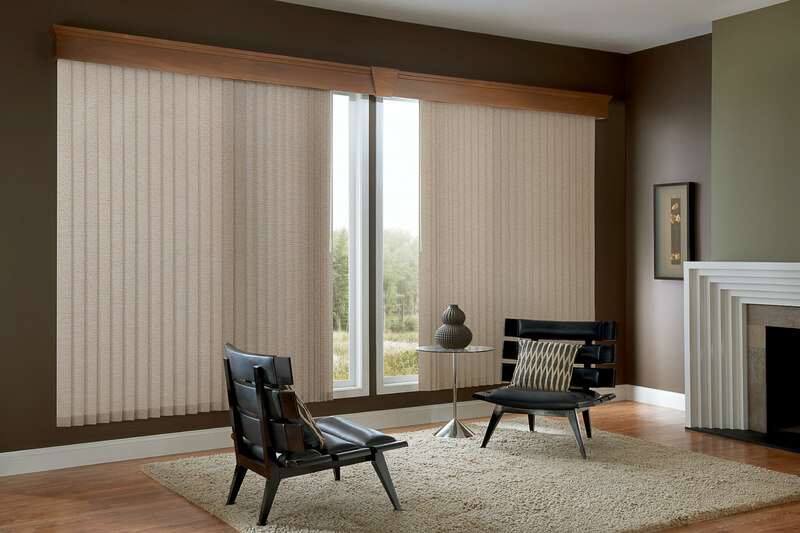 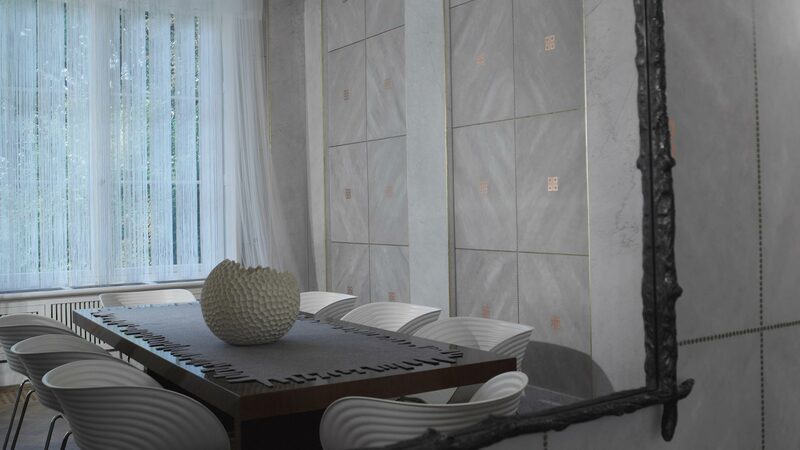 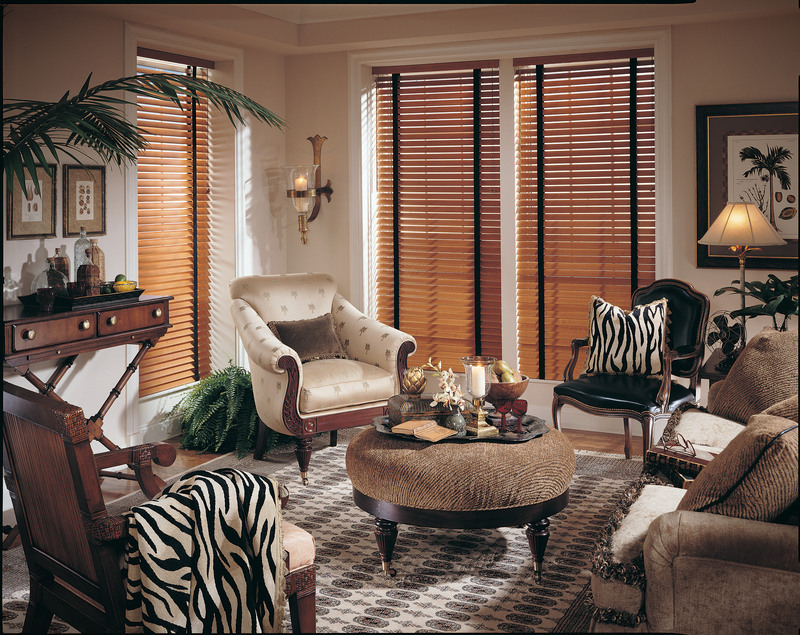 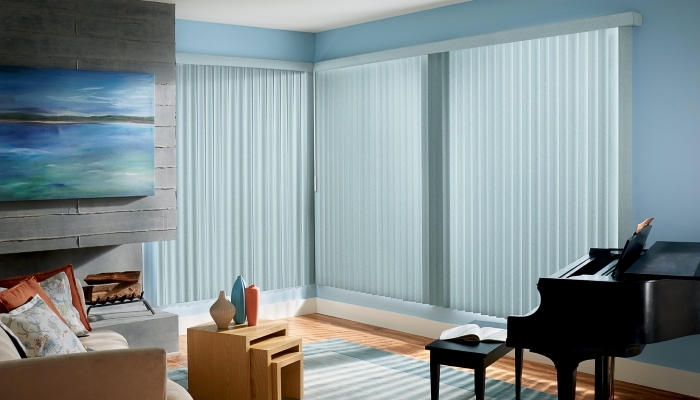 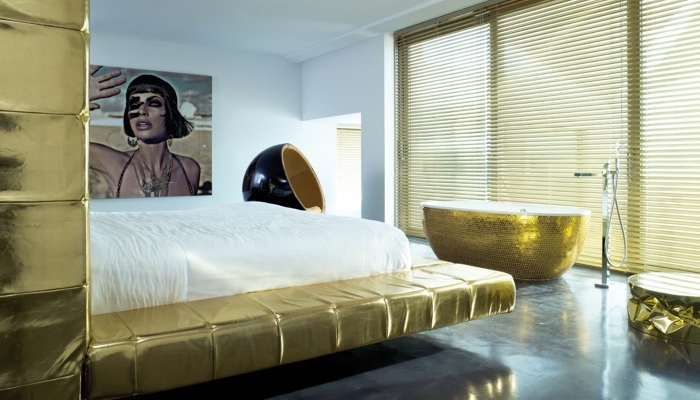 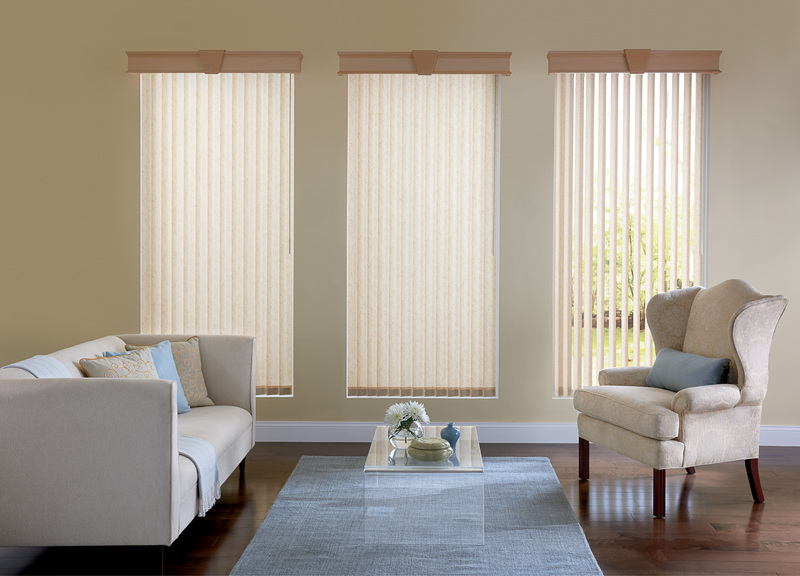 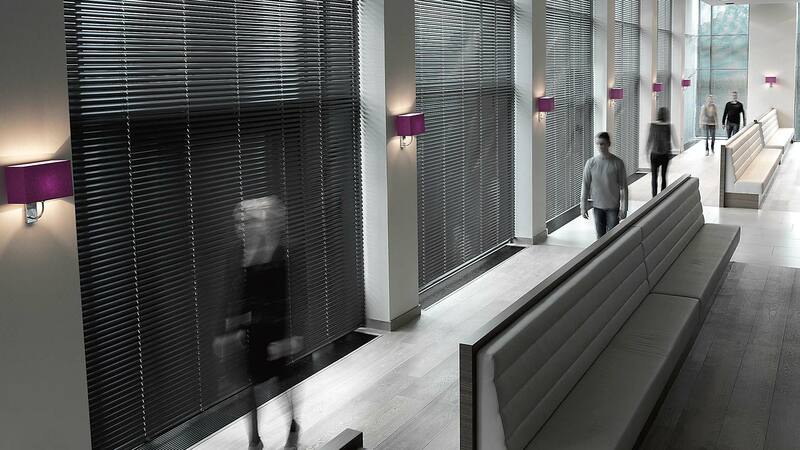 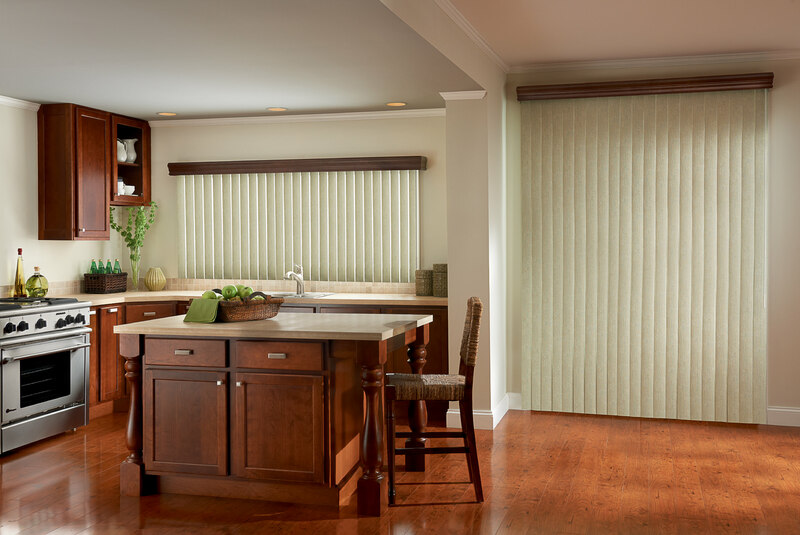 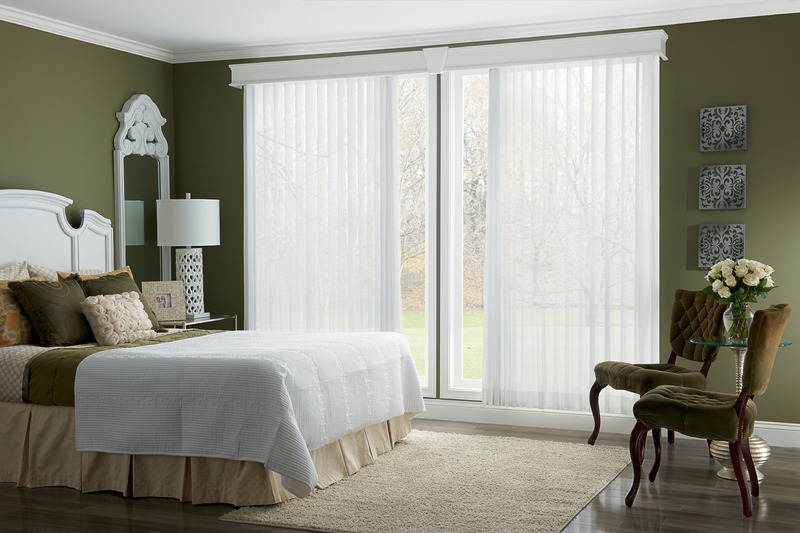 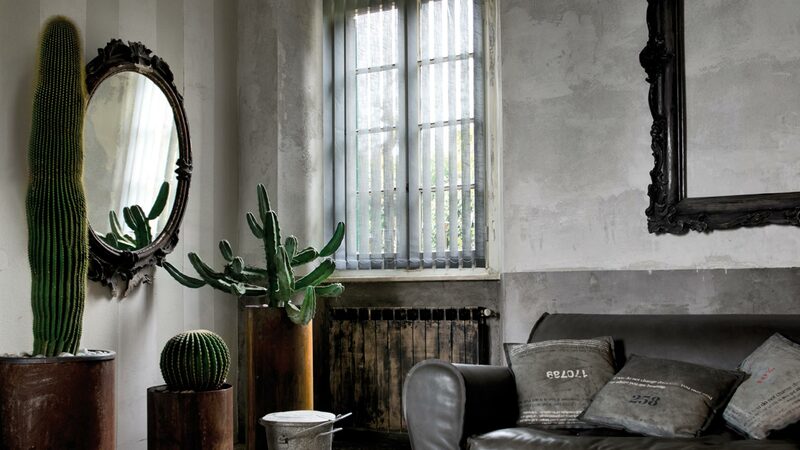 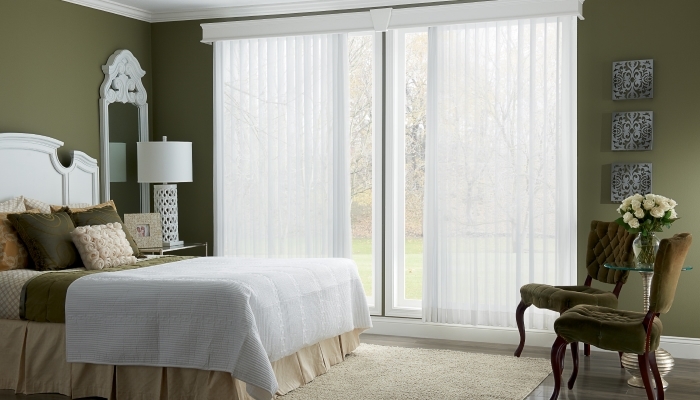 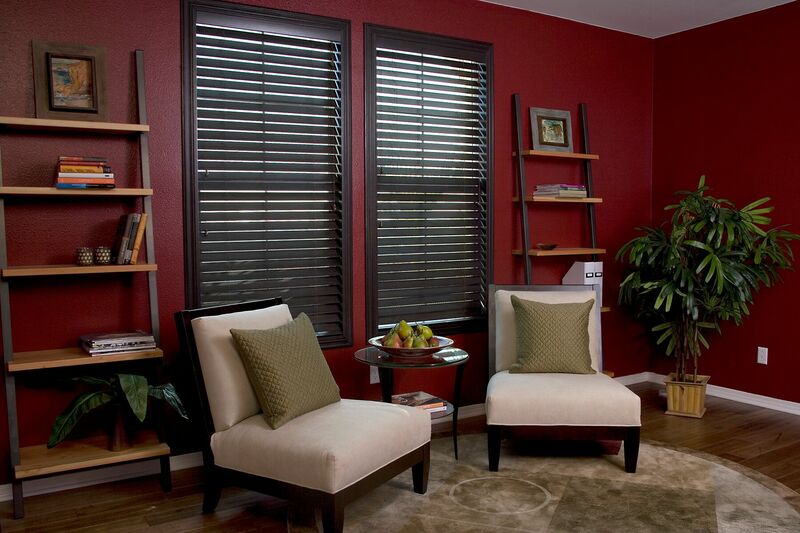 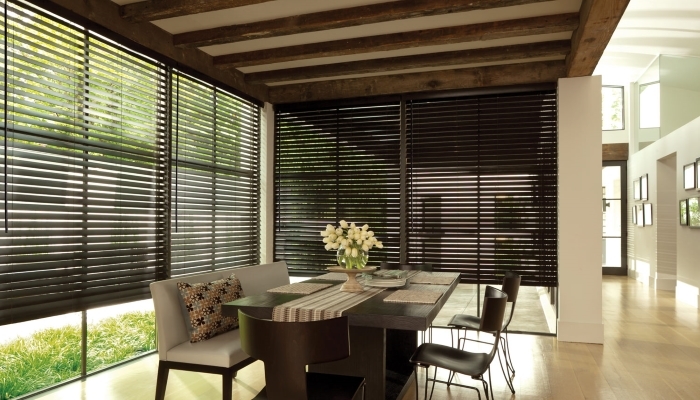 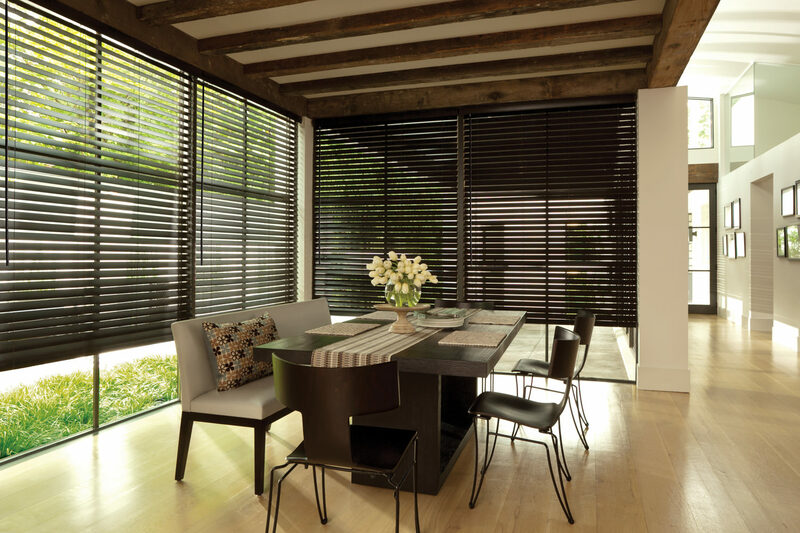 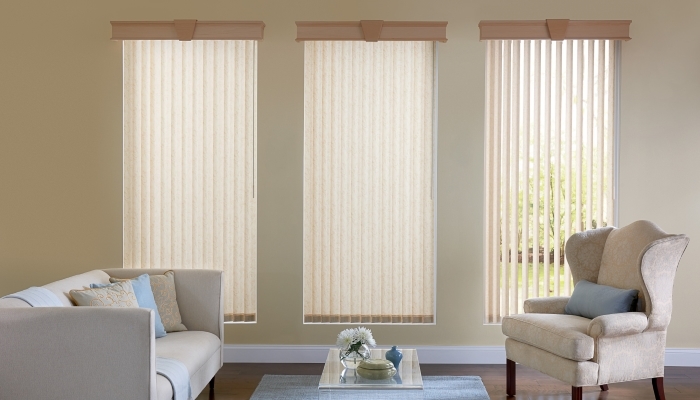 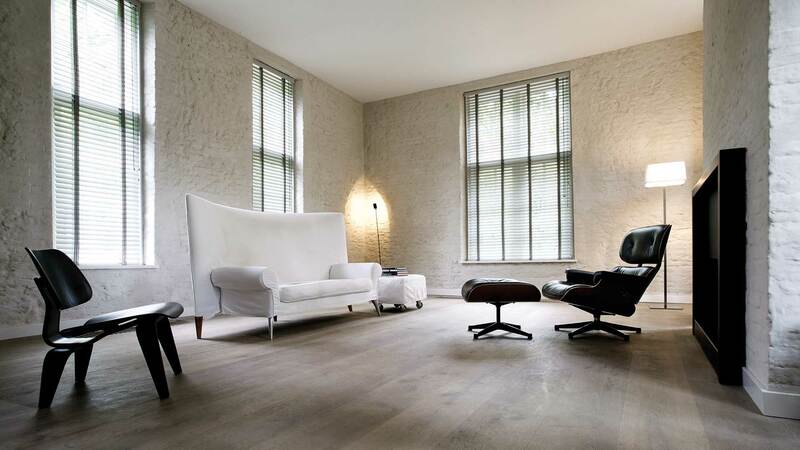 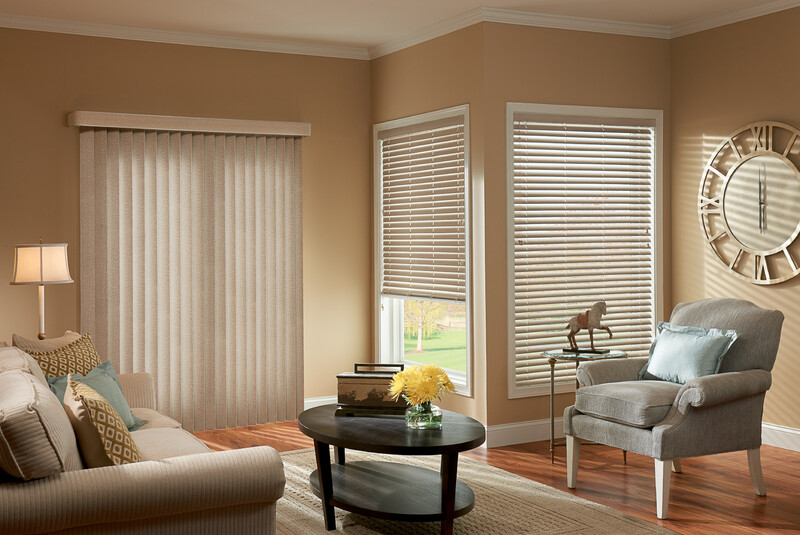 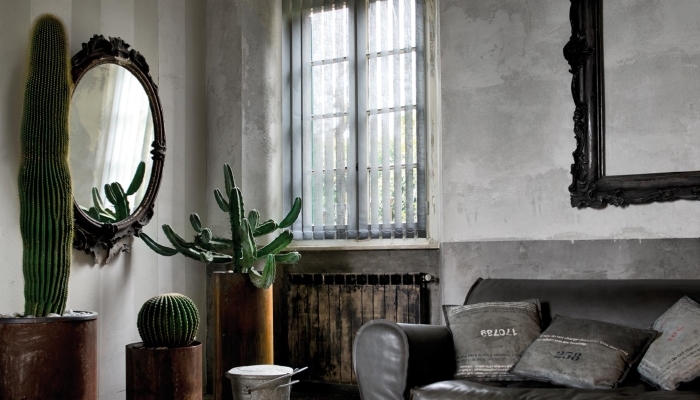 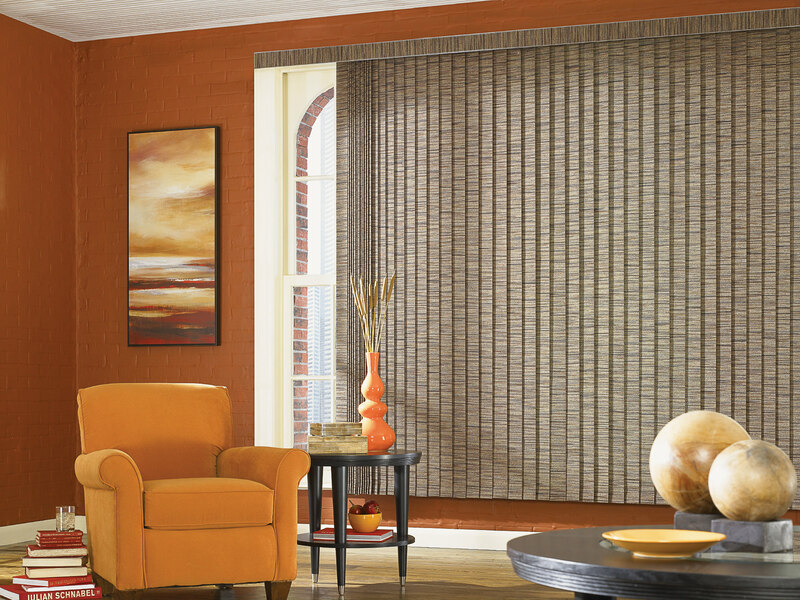 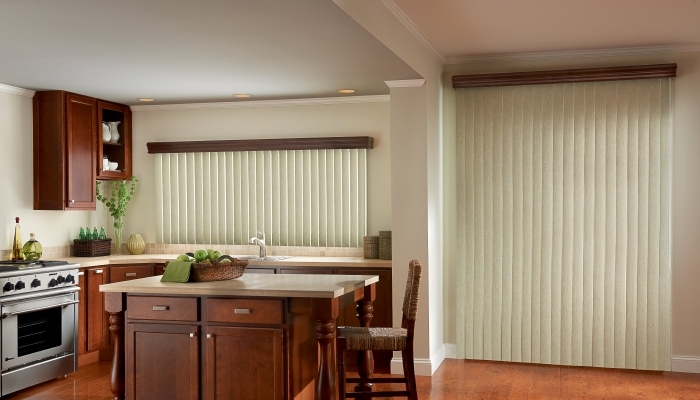 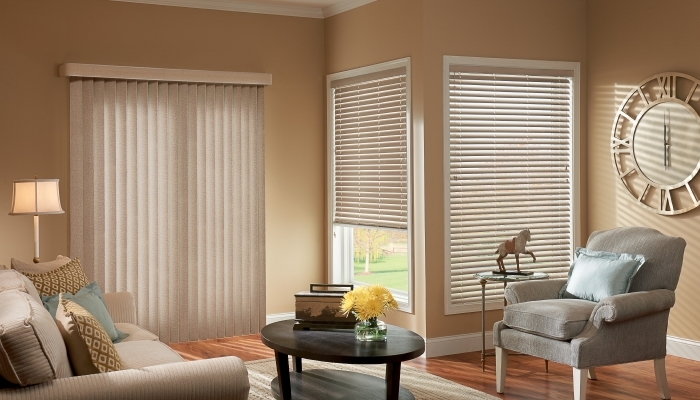 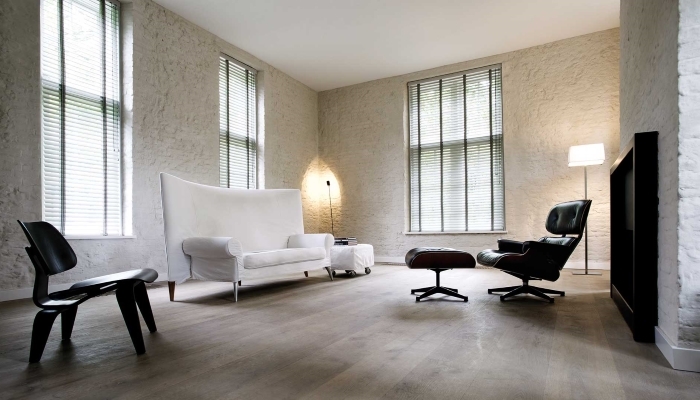 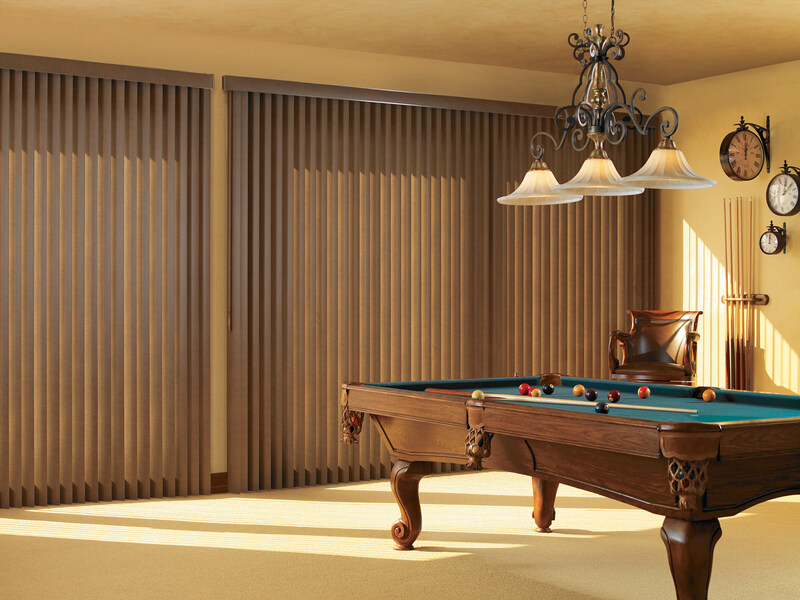 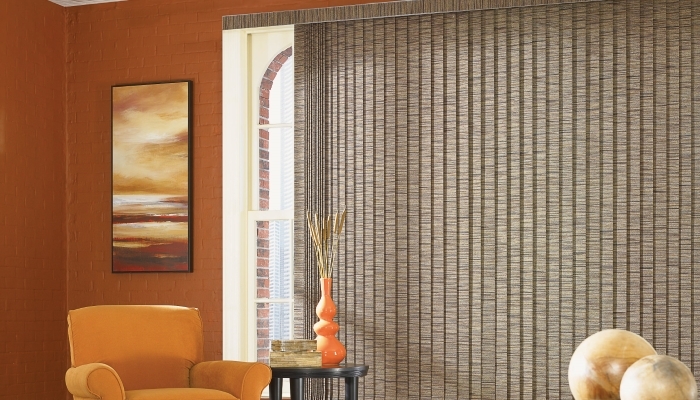 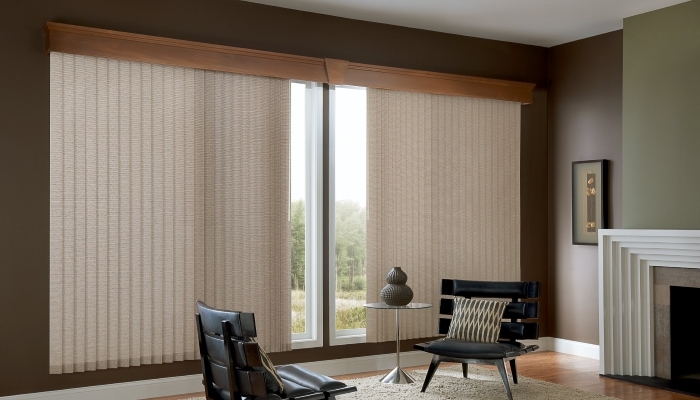 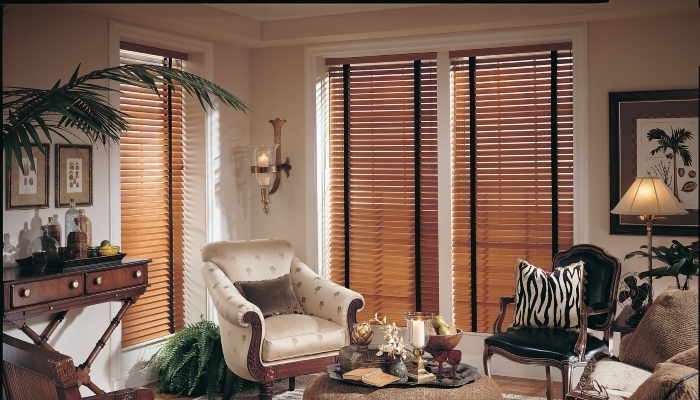 This works as a drapery sheer fabric with the solid vinyl slats for light control and privacy.